As I blathered on... I'm hitting heavy with a nikon d-600 with a raw file edited in gimp-2.9.1 which is not even a beta release yet (you'll have build in linux from source files). The prize with this version of gimp is the ability to edit in 16 bits... so this raw file is a 14 bit image to begin with... and the 16 bit editor lets me manipulate to my heart's desire. A little photoshopping might put some light on the nose. Norm, you can do that, but you'll move the whole curve with effects that won't be pleasing, unless you do some tricks with masking, and that will likely not look so good either. Give it a try if you want. The histogram of the raw image shows white space to the left and right, which is to say that the tails of the curve don't run off on either end, which is good. The lighting is mess: the train is coming nearly out of the sun: The sun was about 1 O'Clock high. There is a lot there, even in the jpeg. I'd be surprised to see a point and shoot pull that lighting off. The light though really gives this a dramatic feel. I pulled the shadows and the contrast up just a touch and it helps the color pop (my opinion). Very nice John. What did you shoot with before the D600? I'm curious how it compares. I did play with it a bit in Photoshop and got some light on the nose. 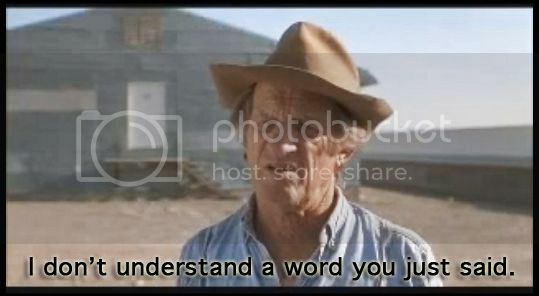 Problem is, I don't know how to embed a photo here. Yeah I'm lost what did the original image look like???? The original is a NEF (raw image) file from the camera. I tried to upload the 16 bit image in both tif and png formats, but RRF rejected those. This is an eight bit image with zero manipulation. The advantage of 16 bits is that much more information is retrained in the shadows. For the original image, I also applied Mantiuk06 tone mapping. Tone mapping is a real boon to photographers... Google Luminance-hdr, which will bring up their site. There is a 'free' download that I know works in linux, and I suspect windoze and OSX. I know that luminance-hdr will open nef (nikon raw files) and I suspect that it will also open Canon's RAW format. It looks like crap either way. I don't see the point of this. Y@ wrote: It looks like crap either way. I don't see the point of this. I think it was more or less an example of how processing can "save" an image when shooting with raw as opposed to jpg with a point and shoot. At least that's what I took away from it. Whether or not the image used is worth saving is another debate, but he does provide a good example of bringing out detail in the shadows on a harshly lit subject. J T's got it right... It depends on what one wants from the shot. The sun is in the wrong spot for a decent locomotive shot, but it does a good job with the steam exhaust. If you like steam drama, the original locomotive shot should appeal, otherwise, not so much. The usual point-and-shoot camera will not handle well the dynamic range of this picture; it takes an adjustable camera on manual exposure mode to capture what was going on... Expecting to see much detail of the front of the locomotive is a reach, but tone mapping really helps there. I suspect that the preceding shot, shown below, was missed before some comments were made; you can see what the sun had to offer. Six hours later it was much better for photography,. Backlit and steam were made for each other. One observation though...with the drab look of the surroundings, black & white might actually work better with that image. If the sun had been behind the camera it would have been a nice classic locomotive photo (without the branches). But also like hundreds of other photos getting posted today and I don't mean that in a bad way. The harsh lighting steps outside the tried and true. It needs some post processing but it also can yield a more dramatic image than the tried and true. Steinheimer made good use of harsh high contrast lighting. Hi, Pat. Yes, the shot needs post processing, but then all raw images do, so this went through ufraw to convert to 16 bit png, and then into gimp-2.9.1 for processing; mantiuk06 is used for tone mapping. How far to take it, and what to do with it is up to whomever is doing the editing. Part of the editing would depend on the prospective viewers... 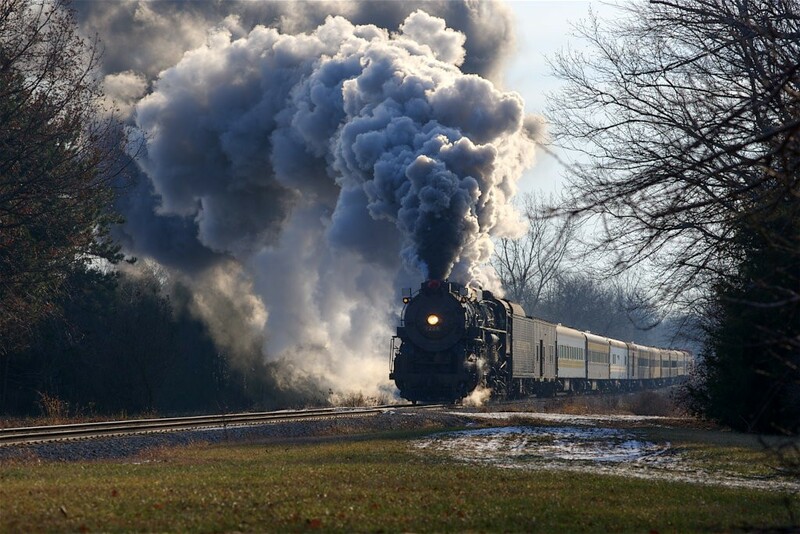 This is not an image for some of the railphoto websites; it would give those editors / selectors heartburn. I've been posting to ABPR (alt.binaries.pictures.rail - usenet; check it out) since the late 1990s. This one was well received there. Heh! if the train had been coming from the northwest, it would have been a perfect setup. As Ansel Adams said "expose for the shadow detail" "and let the rest of the image fall where it may". I would have bracketed it with a +1ev to start and went up two more steps (more exposure). Overall the image is great, framing, the side/backlit smoke. Your post processing helped quite a bit, but it's a shame the nose is so dark. if it had been film you might have been able to pull the detail out when you scanned the negative/slide. P.S had a Nikon P/S twice, totally unimpressed with the last one, soft focus, dust inside the lens assy, slow recycle time. The exposure was set before the shot: the nikon exposure meter is good, and what's better is to take a test shot or two and adjust from there. The nikon histogram will show red, blue, and green 'channels' so it's possible to adjust as close to the edge of 'blowout' as one wants to get. No need to bracket if one has the time to get setup. The exposure was shot in *.NEF, 14 bits, and it was processed using 16 bit digi editors (ufraw, gimip-2.9.1, which is pre-beta, bleeding edge gimp running in linux) To frost the case, mantiuk06 tone mapping was added. Not familiar with manituk06? Google it. Unfortunately in today's age of photography, you are completely limited by the DR of the sensor in the particular camera model you have. To add complication, it also depends on how the RAW files are programmed. I don't think there could have been anything else done to the photo to make it look any better. This is why shooting in RAW is so powerful and why learning how to process RAW files is beneficial. For sports, we're allowed to shoot full RAW now, and edit and crop and then send to the universities. It makes low-lit indoor sports much more enjoyable to shoot. I was in an indoor track facility at University of Findlay last Friday and my exposure settings were about 1/500s, f/2.8, and ISO 6400. In the past, I would have gone for a faster lens and/or slowed down to a marginally-acceptable shutter speed of 1/400s, but now with full frame cameras and RAW processing, there was no need at all. Pretty cool how technology keeps improving. 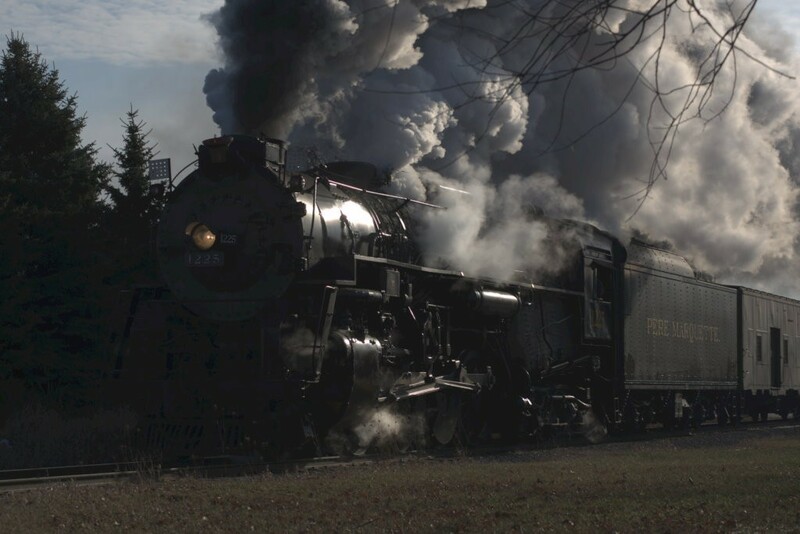 The sensors are limited with respect to dynamic range, I guess, but it's a whole lot better than the film that I started with over 60 years ago I think the only way to 'improve' the shot is to move the sun to a better location; then I've have the exhaust and highlight the smokebox. By the afternoon the sun was much better placed (it's at 11 o'clock here) but with warmer temps the drama of the exhaust was diminished.